The team of five scientists from the department of Mycology and Micro-Biology of the Tocklai Tea Research Institute of Assam developed three varieties of Tea Wine – CTC wine, Orthodox wine and Green tea wine, informed Institute’s Director Dr Anup Kumar Baruah. Dr Prasanta Dutta, the scientist who led the team, said work was in process since the last part of 2015 till a week ago and it was officially launched for the public on Wednesday during Tocklai Tea Research Association (TRA) annual general meeting. He said the process for commercialisation is in the pipeline as there were several steps to go through for commercial sale and it is a residue-free wine prepared from organic tea with totally pesticide free green tea which will benefit human health functioning. Tea wine is a new approach of Tocklai Tea Research Institute to set up an initiation in the field of diversified product of Assam tea, he said, adding, fermentation of different type of tea with a symbolic culture of beneficial microbes in association with different stimulating organic agents that yields tea wine which can be consumed for its refreshing and beneficial properties on human health. 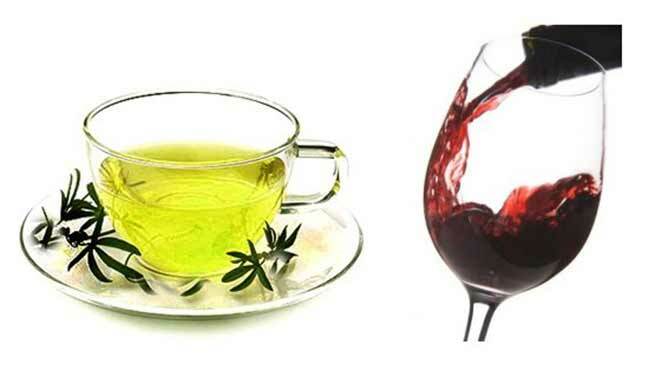 Explaining the benefits of drinking tea wine, Dutta claimed Polyphenols presents in tea wine help to prevent cardiovascular diseases, controls sugar, fights off cold, prevents dementia and some cancers.